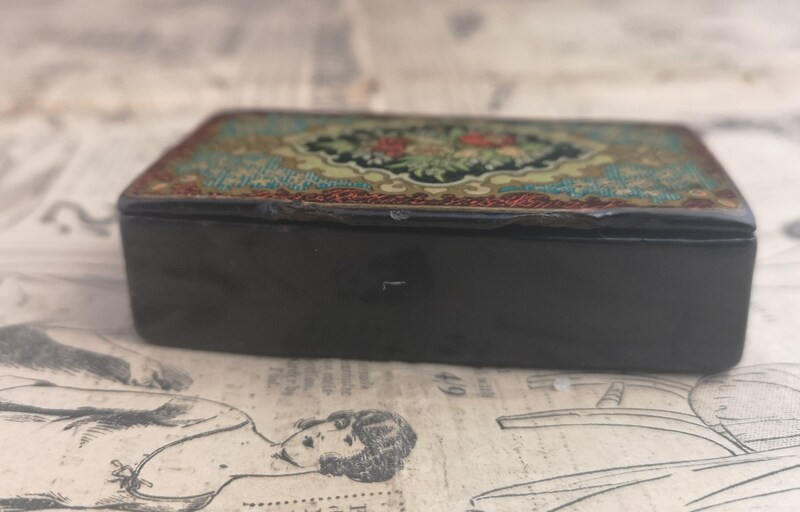 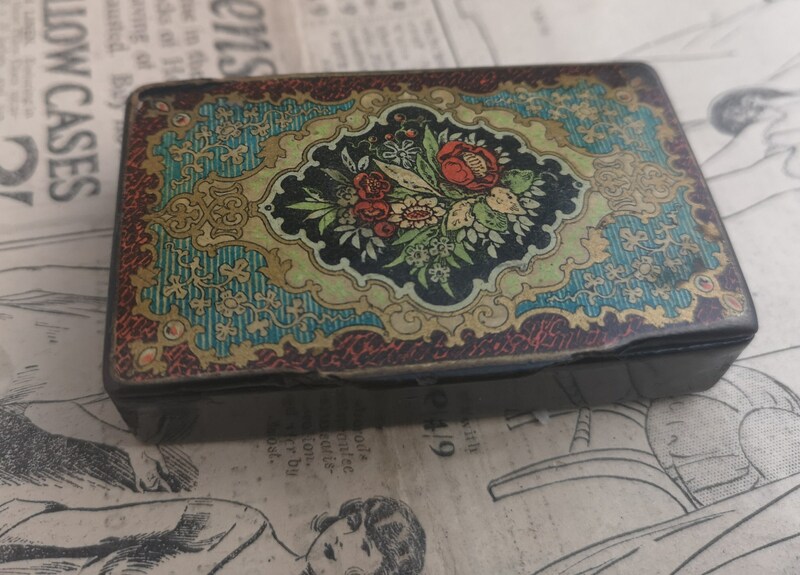 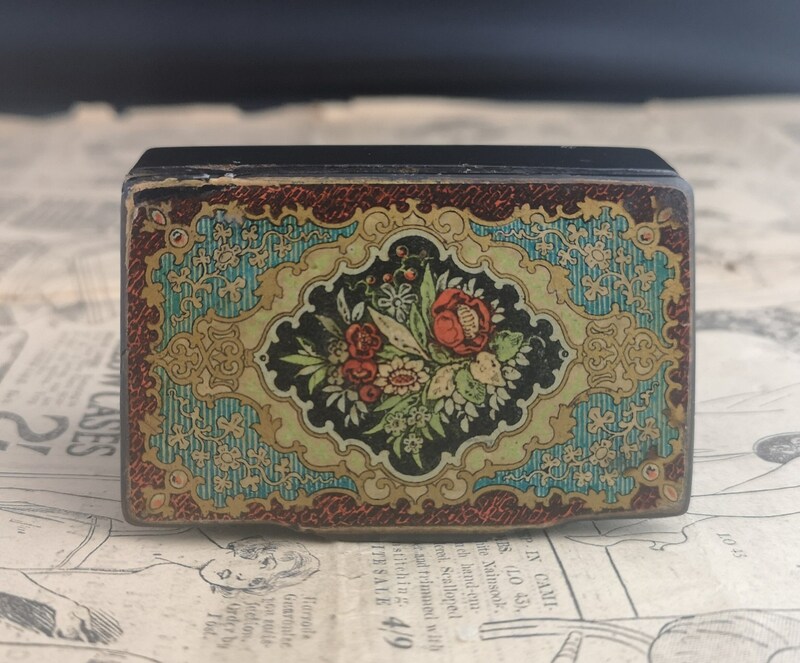 A pretty early Victorian snuff box with gilt and floral decorated lid. 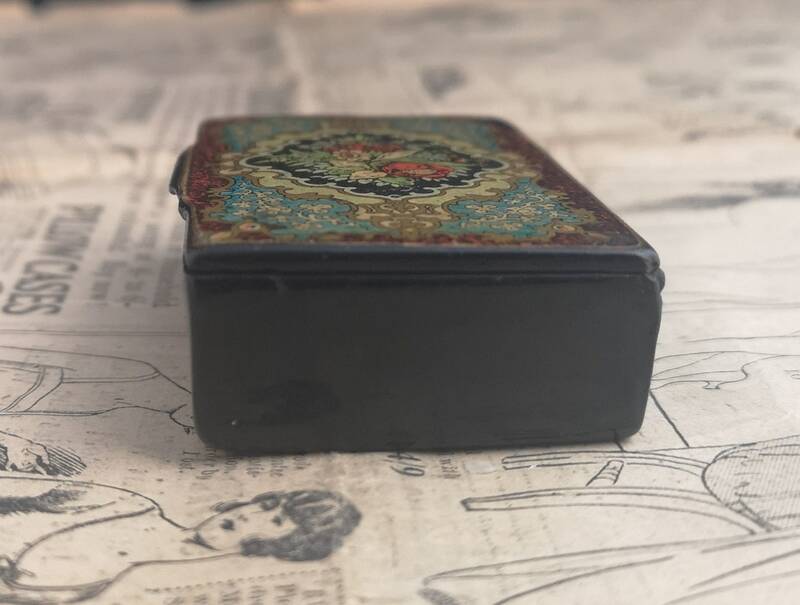 Very fine details with rich colours. 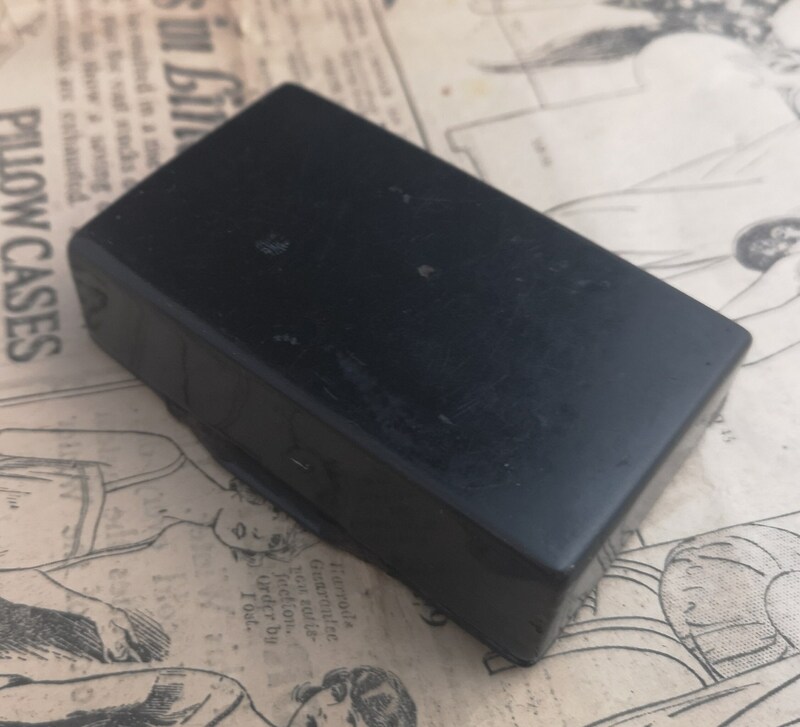 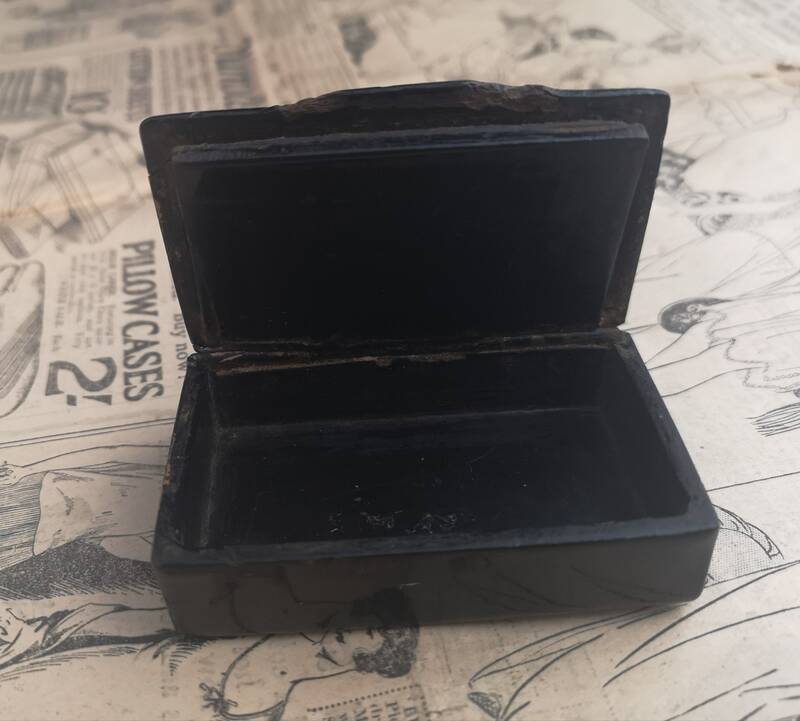 Rectangular shaped with a push close lid. 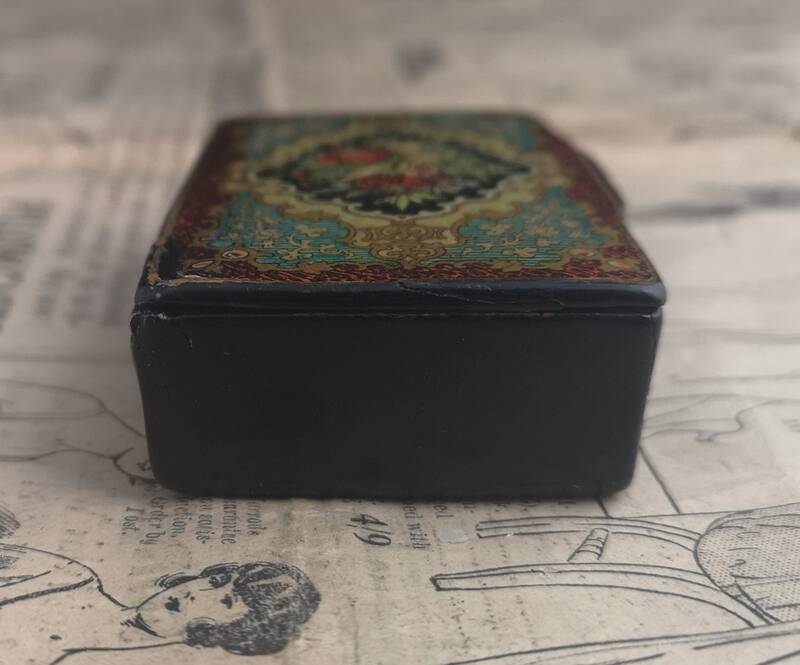 Nice one for the collector of snuff boxes and bottles. 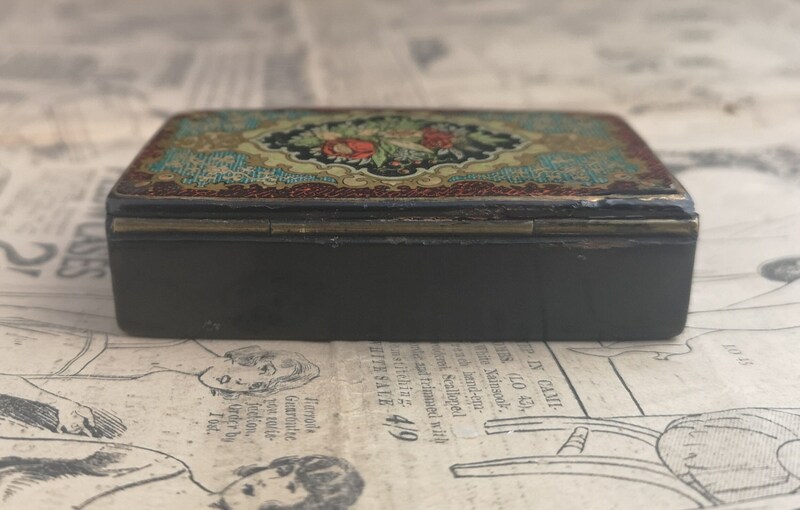 Condition is good considering the age, a few tiny nibbles and a bit of wear to the lid from lifting.